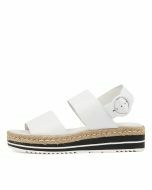 You'll feel divine in this flatform sandal! 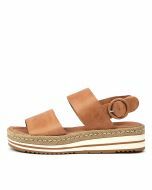 An on-trend option for the summer season, this design features a striped platform sole, with a jute rope trim for that added seasonal feel. The broad leather straps offer a secure fit and comfortable finish, making the shoe ideal for busy days in the sun.